Personal loans are one of the more popular kinds of loans for consumers in Phoenix, AZ (or anywhere for that matter). This type of loan is a form of credit used for a specific purpose. It is unsecured, meaning, there is no collateral when borrowing as in the case with a mortgage or car title. All that is required by the lender for a personal loan is your credit score to determine eligibility, credit limit, and what the interest rate on the loan will be. Personal loans offer interest rates generally much lower than credit cards, and the rates can often be negotiated with your lender. The repayment schedule is fixed, usually in the range of one to five years, with a payment due each month. The lower interest rates and convenient repayment schedule offers many borrowers a degree of comfort. There are ‘dos and don’ts’ in applying for personal loans, however. You should have a specific purpose in mind and a repayment strategy in place before borrowing. Otherwise, you will only be increasing the financial stress in your life, not decreasing it. With that in mind, here are some of the best and worst reasons to get the most out of a personal loan without the personal loan taking the most out of you. The best reason, and number one rule, for a personal loan is to always have a specific purpose in mind when borrowing. For example, one of the best reasons to take out a personal loan is for debt consolidation. This usually is for paying off multiple credit cards. A personal loan to pay off your credit cards can save you money. Personal loans generally offer a lower interest rate than credit cards. Consolidating your monthly payments into one convenient package will lower your monthly payments and allow you to put the difference toward your savings. Another good reason for a personal loan is for a home remodeling project. A new roof, completing the landscaping, finishing the basement or add an extra room—whatever the project, it’s going to add value to your home without leaning into your equity or putting the expense on your credit card. Several other good reasons for personal loans are to help improve your credit score. Taking a personal loan and repaying completely on time can improve your rating or establish a payment history. You can use a personal loan toward a wedding ceremony or honeymoon, too (but not for a lavish wedding). If you’re short of cash this holiday season, instead of using credit cards, consider a personal loan to make your season bright. Finally, you can use a personal loan to start your own side business and make payments on the loan with the revenue from your business. Taking out a personal loan can be beneficial as long as it’s used for a specific purpose. However, you should not take out a personal loan to simply increase your spending or use the loan as a crutch for excess spending habits. Doing so is only going to increase your debt on unnecessary expenses. 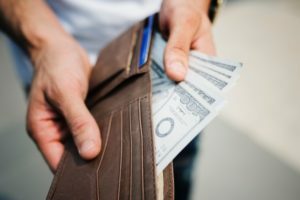 By taking out a loan for purchasing material goods you are only sacrificing a chance to put money into your savings or retirement fund, or getting out of debt completely. Another bad use of a personal loan is for vacations. You should save for vacations, not borrow for them. Though some people use personal loans for hefty medical or dental bills, consider negotiating with the medical provider first. You may be able to lower the balance due and pay them directly. If it’s a modest medical or dental bill, and the providers are demanding payment, then consider a personal loan. If you are seeking a fast, short-term cash loan, with just enough flexibility that works for you, then consider a personal loan. Unforeseen circumstances and situations may come up where you need to borrow money fast. A personal loan is the answer. You can borrow as little as $100 or a $1000 or more. Whatever the circumstances, be sure to borrow for a specific purpose. Otherwise, you’ll just be increasing your debt for no purpose at all. For more information about personal loans Phoenix AZ, contact us at Tio Rico today!